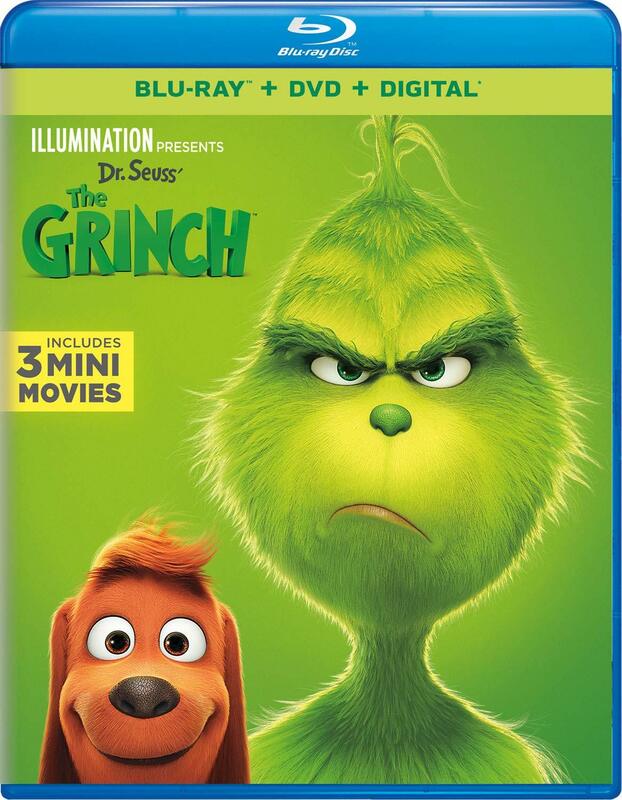 The obvious, conflicting idea here is that Illumination's 2018 The Grinch has been crafted purely as a cash grab for Illumination, but preaches a message of the holiday season being more about selflessness and giving than receiving and indulging. I was thirteen in 2000 when the Jim Carrey-fronted and Ron Howard-directed How the Grinch Stole Christmas barreled its way into theaters. I vividly remember being excited to finally be able to see the movie on the big screen and to experience this thing that had been so discussed and so built-up that it truly felt like an event. Remember, these are the days when you had to see movies to be able to see movie trailers and there was always a hope I'd get to catch a glimpse of Carrey as the titular Grinch every time I went to the cinema (which was far less back then). Needless to say, Howard's How the Grinch Stole Christmas swept me up and delivered a sense of wonder I could only dream of, but that they had fully realized. And though I only return to the film once every three or so years around the holiday season it still holds something of special place in my heart despite the growing number of detractors over the years. And so, walking into what felt like a somewhat unnecessary, but completely logical (from a financial perspective) re-telling of the story via the studio that brought us the minions and The Secret Life of Pets there was no reason to expect 2018's The Grinch to be anything other than what it so obviously was intended to be: that aforementioned cash grab. Alas, that's mostly what this 90-minute exercise in "cinematic candy floss" is, but dammit if, by the end of the film, I wasn't wrapped up in the emotional beats of the story that has the viewer feeling sympathy for the grouchy Grinch (I rather liked Cumberbatch's take on the guy-appropriately irritated, but not evil or scary). The film also overcomes the biggest obstacle Howard's feature-length version had trouble with and that was stretching the narrative to such a length without feeling like much of it was padded. While this newest version is a cool fifteen minutes shorter than the live-action version, the pacing (sans a short section in the middle) is consistently even and always manages to be entertaining in more intriguing ways than I might want to give the studio credit for. It’s a weird feeling walking into a movie and already having the perspective it was a mistake to make. 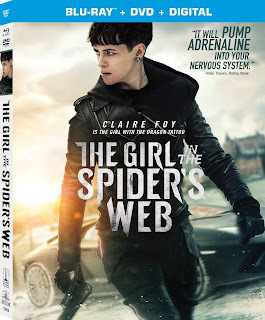 Needless to say, there were both low expectations and very little desire to see The Girl in the Spider’s Web , but the fact director Fede Alvarez (2013’s Evil Dead, Don’t Breathe) was at the helm did offer some hope. While this new Lisbeth Salander story isn’t actively bad it is a rather dim film both in terms of its aesthetic and some of the decisions both the plot and its characters make. Examples? Sure-within a single scene we’re led to believe that a main child character is something of a genius and also that he wouldn’t know better than to take the bait of his dead dad calling his cell phone which is of course a ploy so the bad guys can track him. Alvarez also gets a screenwriting credit alongside Jay Basu and Steven Knight (Locke) and while there is a sense of some symmetry, some poetry even, to the writing there simply isn’t that solid hook that pulls one into the mystery of it all as a good crime thriller or murder/mystery should. 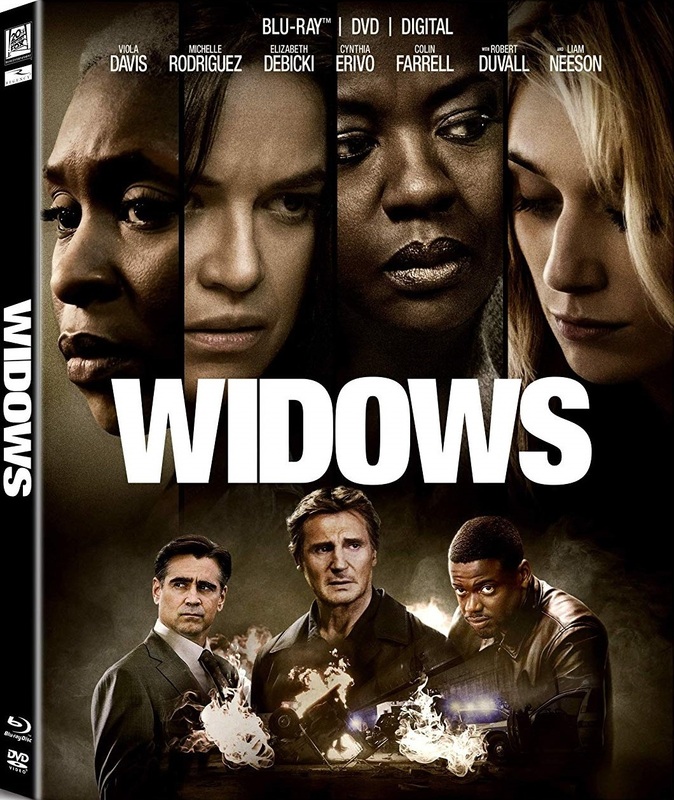 There are some really brutal and fairly creative moments in terms of the many kills that happen and the sometimes extreme emphasis on the violence of those situations, but how much of this should be credited to the screenwriters and how much comes from the David Lagercrantz novel is uncertain. On the other end of things, some of the action Alvarez stages is borderline incomprehensible and Foy, for all her effort, gets to actually act in maybe one scene. 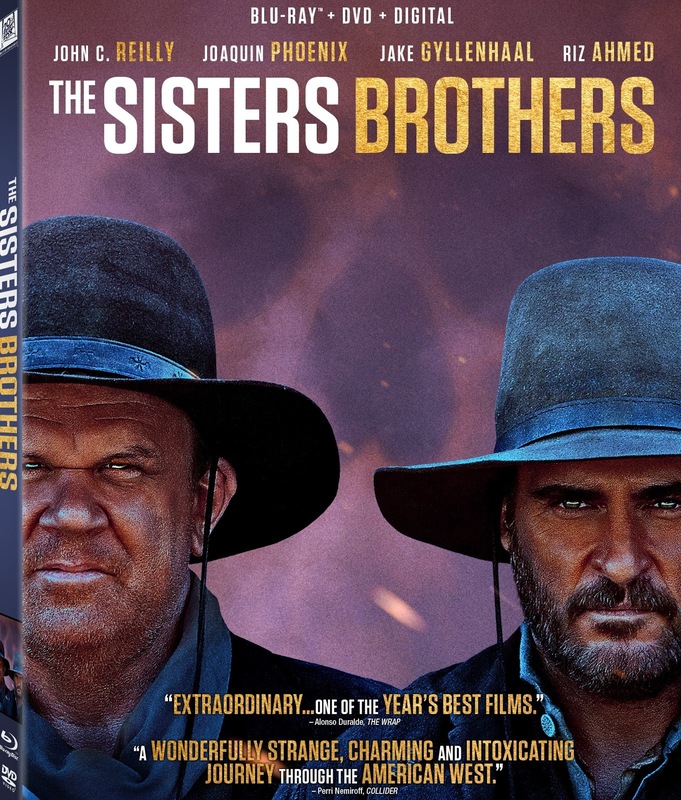 The Sisters Brothers is both a modern western that pays plenty of homage to the classics of the genre. It isn't what you expect and not always what you hoped it might be, but it consistently does whatever the hell it wants and one can't help but to appreciate it for exactly that. 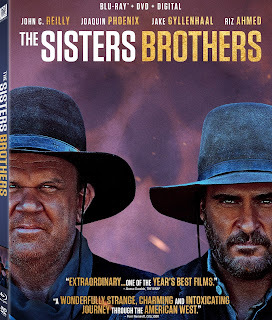 In other words, The Sisters Brothers is wholly its own thing and it's very up front about this fact with an opening scene that is both startling, starkly aloof, and perplexing in the most intriguing of ways. While it feels natural to be tepid in the opening twenty or so minutes as exposition is avoided in favor of the audience putting the pieces together themselves it is once director Jacques Audiard (Rust and Bone) begins to parallel the arcs of our titular characters as played by John C. Reilly and Joaquin Phoenix with that of Jake Gyllenhaal's John Morris and Riz Ahmed's Hermann Kermit Warm that things really get rolling. 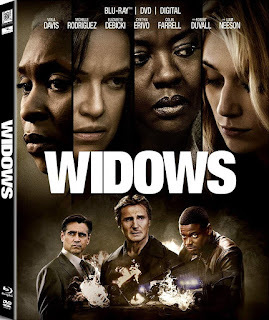 It's always nice to see a movie when, in general, you see so many movies and think you know where it's likely going only to have it continually go in a different, but completely logical-and natural-feeling-direction. Phoenix and Gyllenhaal give two very distinct, but vastly different performances for two characters that are more similar than they might like to admit even if they come to recognize as much. Gyllenhaal's accent is especially noteworthy. Ahmed's interpretation of Warm is a matter of perspective and he plays this advantage to the hilt given the ultimate course the actions take. It is Reilly who steals the show though, serving as a throughline of steadfastness in doing something despite the difficulties his brother provides and the endless delays he takes the blame for all in order to achieve a success he doesn't seem to necessarily agree would define the word "success". It's a wonderful, well-rounded performance that lends the final scene of the film a sense of near-perfection; capturing a small truth of life we don't often recognize or discuss and painting a two-hour portrait with it. Rosamund Pike and Jamie Dornan star in A Private War, a "based on a true story" war drama that tells the story of Marie Colvin, one of the most celebrated war correspondents of our time, who possessed an utterly fearless and rebellious spirit and was driven to the frontline of conflicts across the globe to give voice to the voiceless. 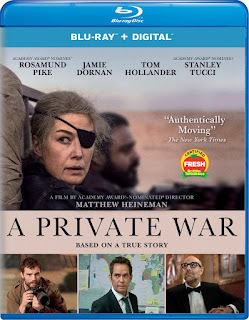 The film received something of a wide release late last year, but never broke out in the way its distributor, Aviron Pictures, might have hoped-garnering little to no awards discussion, but given the pedigree of its cast, director (Matthew Heineman), and the story it's telling I'll be checking this one out as soon as I can.